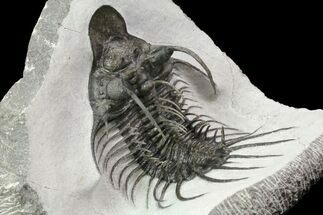 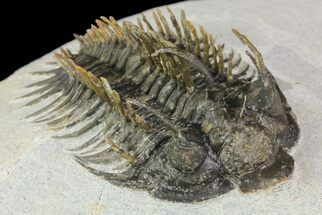 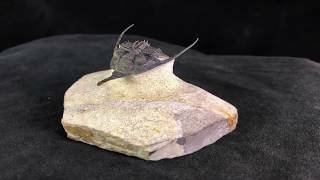 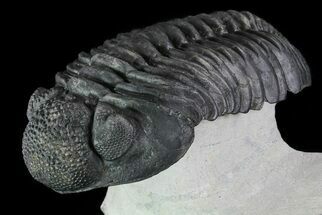 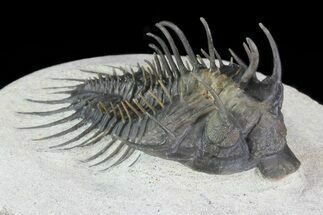 This is a 2.2" long, example of the short snout species of Psychopyge trilobite. 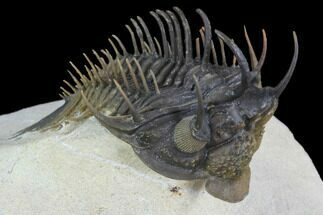 This rare species has a significantly short rostrum, as well as much smaller spines than Psychopyge elegans. 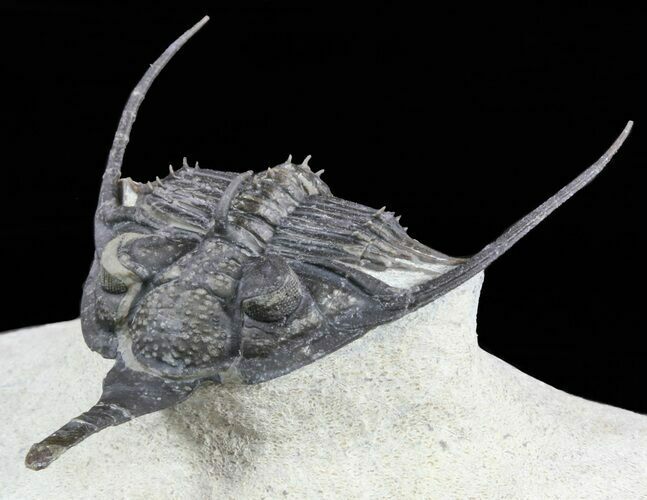 The distinctive rostrum and all of the spines have been prepared free standing. 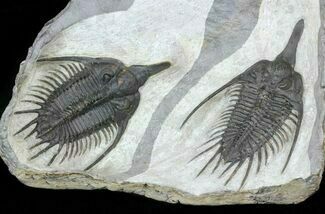 There is a bit of seperation between the right cheek and the head.